Smith Anderson announces that it will be a Gold Sponsor of the Biotech 2009 Conference on February 16 and 17 in Raleigh. The conference is presented by the Council for Entrepreneurial Development (CED), the North Carolina Biosciences Organization (NCBIO), and the North Carolina Biotechnology Center. The firm’s sponsorship complements the board service of three Smith Anderson partners. Christopher Capel serves on the Board of Directors of NCBIO. Merrill Mason serves on the CED Board. Gerald Roach serves on the Biotech Center Board. The firm is also a sponsor of CED’s Innovation to Impact campaign, a five-year vision to position the Research Triangle and North Carolina as the nation’s leading center for entrepreneurial support and success. “We believe that our life sciences practice provides clients with unparalleled depth and capabilities in the Southeast, and we are pleased to continue to support our life sciences community with these sponsorships and board service,” said Capel. Our life sciences team brings to bear deep industry and transactional expertise for life science companies, as well as investors in those companies. Our clients include pharmaceutical companies, biotech companies, agbiotech companies, pharmaceutical services companies, and life-sciences focused information technology companies. Lawyers in this practice group include Santo Costa, former President and Director of Quintiles Transnational Corp. and Senior Vice President, General Counsel and Director of Glaxo, Inc.; Phil Tracy, former President and Chief Executive Officer of Burroughs Wellcome Co., a predecessor of GlaxoSmithKline; and Martin Lancaster, immediate past President of the North Carolina Community College System. In 2008, Smith Anderson handled over 40 intellectual property or collaboration agreements in diverse industries including pharmaceuticals, agbiotech, data aggregation, and information technology. Since our law firm’s founding in 1912, Smith Anderson has grown to become the largest Research Triangle-based business and litigation law firm and one of the largest in North Carolina. Representing diverse organizations with local, state, national and international interests, for our 96-year history our lawyers have remained committed to understanding clients' businesses and customizing legal solutions accordingly. Our commitment also extends to our community and the legal profession. 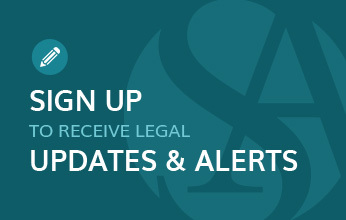 For more information, go to www.smithlaw.com. CED’s mission is to identify, enable and promote high growth, high impact companies and to accelerate the entrepreneurial culture of the Research Triangle and North Carolina. For more information go to www.cednc.org. NCBIO is North Carolina’s state-level affiliate of the national Biotechnology Industry Organization. Together, the two groups advocate federal, state and local public policies designed to help the bioscience industry fulfill its extraordinary promise as a source of economic opportunity and improved life quality. For more information go to www.ncbioscience.org. The Biotechnology Center is a private, non-profit corporation supported by the N.C. General Assembly. Its mission is to provide long-term economic and societal benefits to North Carolina by supporting biotechnology research, business and education statewide. For more information go to www.ncbiotech.org.